This month your three West Hampstead ward Lib Dem councillors - Gillian Risso-Gill, Keith Moffitt and John Bryant - are launching their blog on West Hampstead issues - and we'll occasionally pop in some other "big picture" posts as well. 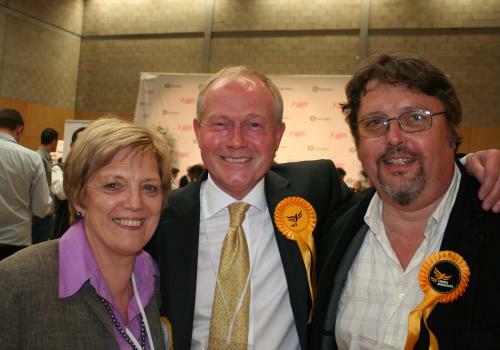 Our fellow Lib Dem councillors in Fortune Green - Flick Rea, Russell Eagling and Nancy Jirira have their own blog (see the links) and we'll occasionally cross-post stories of interest to the whole West Hampstead area. Our first post is some first impressions from John and Keith's new colleague Gillian on life as a councillor.